IN THE MIX WITH HK™: AN ACTRESS, SWEDISH DJ, COUNTRY MUSIC DUO AND A SINGER-SONGWRITER WALK INTO A….HIT! 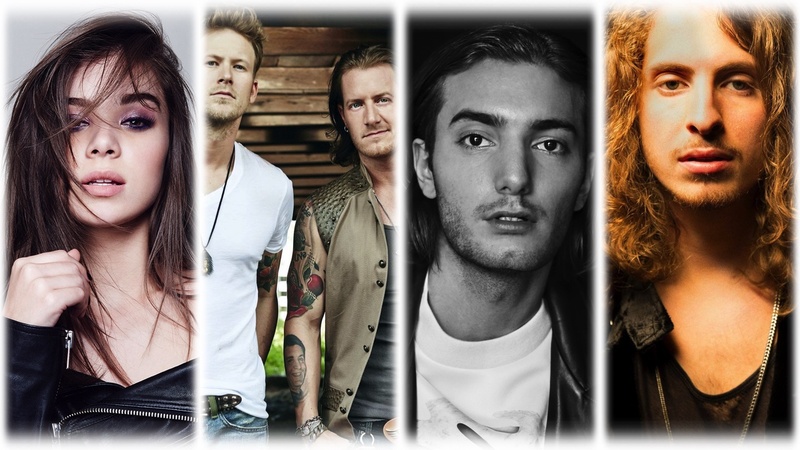 AN ACTRESS, SWEDISH DJ, COUNTRY MUSIC DUO AND A SINGER-SONGWRITER WALK INTO A….HIT! I’m talking about Academy® Award-nominated actress/singer Hailee Steinfeld, Grammy nominated Swedish DJ/producer Alesso, multi-platinum duo Florida Georgia Line, acclaimed singer–songwriter watt and their new smash Let Me Go. It has been described as an eye-popping collaboration with all the right ingredients for its lyrics to quickly get stuck in your head. It’s also quickly sticking to the Pop chart. This Sunday you can see this all-star crew take the stage live at the AMA’s for what is sure to be a show-stopping performance of their hit track. Right now I’ve got my own show stopping custom HK remix of Let Me Go brewing up in the lab plus exclusive HK remixes on Ed Sheeran , Bebe Rexha, Charlie Puth, P!nk, Zayn, Demi Lovato and so much more! Like hot new beats from Daya, Lauv, Astrid S, Cheat Codes and Khalid! Plus I’ll be throwing in a few aural surprises you just don’t wanna miss!